The Japanese American Cultural & Community Center, together with the Smithsonian Center for Folklife and Cultural Heritage, presents the 100th Birthday Celebration of Madame Fujima Kansuma on Sunday, Nov. 18, at 3 p.m. at the Aratani Theatre, 244 S. San Pedro St. in Little Tokyo. The event will celebrate her long career as a master artist, her important role in supporting and sustaining the vitality of Japanese American cultural heritage, and her recognition as a National Endowment for the Arts National Heritage Fellow. Kansuma Sensei shares a special classical selection in this program highlighting her career. She was this year’s choreographer for the Nisei Week Japanese Festival, which she has been involved in for more than 80 years. 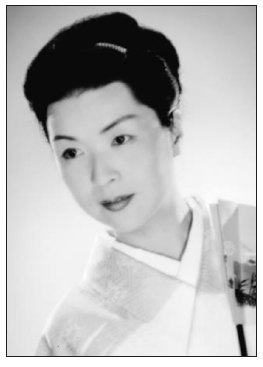 Born Sumako Hamaguchi in San Francisco in 1918, she began training in Japanese dance at the age of nine. A student of Kikugoro Onoe IV, she studied acting, dancing, kimono dress and etiquette, shamisen and tokiwasu music. Granted the professional name of Kansuma in 1938, she returned to America and opened her dance studio in the Los Angeles hotel owned by her father. During World War II, Kansuma performed and taught classical dance to lift the spirits of fellow incarcerees at the Rohwer concentration camp in Arkansas and other camps. In her long and distinguished career, Kansuma has taught more than 2,000 dancers, 48 of whom have been granted professional standing by kabuki grandmasters. Her troupe, Fujima Kansuma Kai, has performed extensively at such venues as the opening of the 1984 Los Angeles Olympics, the 1980 Tournament of Roses Parade, Japanese festivals at Disneyland, and the Dorothy Chandler Pavilion. Kansuma was awarded in 1985 the Fifth Class Order of the Precious Crown from the government of Japan in recognition of her contributions toward encouraging the appreciation of Japanese culture in the U.S. In 1987, she received the National Heritage Fellowship Award from the National Endowment for the Arts. She was the recipient of the Japanese American National Museum’s Cultural Ambassador Award in 2005. This event is a co-production of the JACCC, Smithsonian Center for Folklife and Cultural Heritage, JANM, and Alliance for California Traditional Arts, and received federal support from the Asian Pacific American Initiatives Pool, administered by the Smithsonian Asian Pacific American Center. Tickets are $50 for VIP reserved seating, $15 for general admission, $12 for JACCC members. Call the box office at (213) 680-3700 Tuesday through Friday, 12 to 5 p.m.